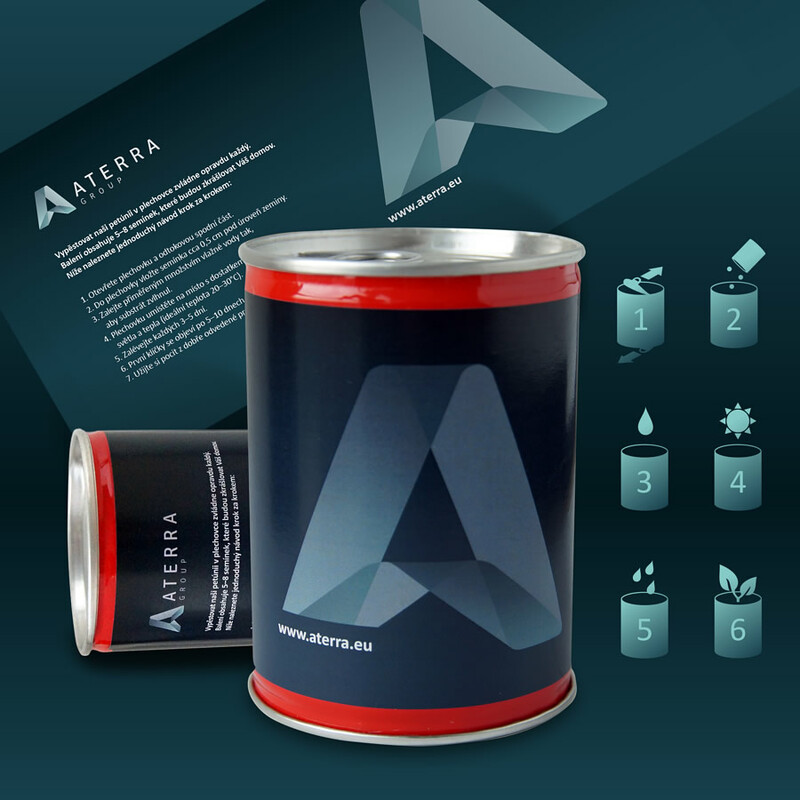 A Christmas gift in the shape of a tin with a surprise within for Aterra Group, a.s.
Christmas time is as much about spending time with family and friends as it is an opportunity to show your business partners how much you appreciate them and value their partnership. Christmas at our agency comes with a great responsibility to carefully choose and prepare company Christmas gifts for our clients. Above all, it is essential that each gift carry the message a specific brand wishes to express in a given year and, at the same time, must be original and appear attractive at first sight. Aterra has helped numerous businesses grow to varying degrees to date and continues to “water” them and assist them in their further growth. It is our hope that the blooming window decoration will serve as a reminder of Aterra to all its business partners for many days to come.